First Play ® Mini Tennis Racket Pack is ideal for young children to develop hand-eye coordination and racket sport skills. It’s hard to miss the bright colors of these balls as they’re flying through the air, rolling on the ground, or being handled by students having a great time! The colors encourage students to get involved and have fun trying their hand at new games, group activities, and challenging skills tests. 1 x First Play® Foam Ball Essential Tub containing 48 moulded lightweight foam balls: 12 Red, 12 Green, 12 Yellow, 12 Blue. 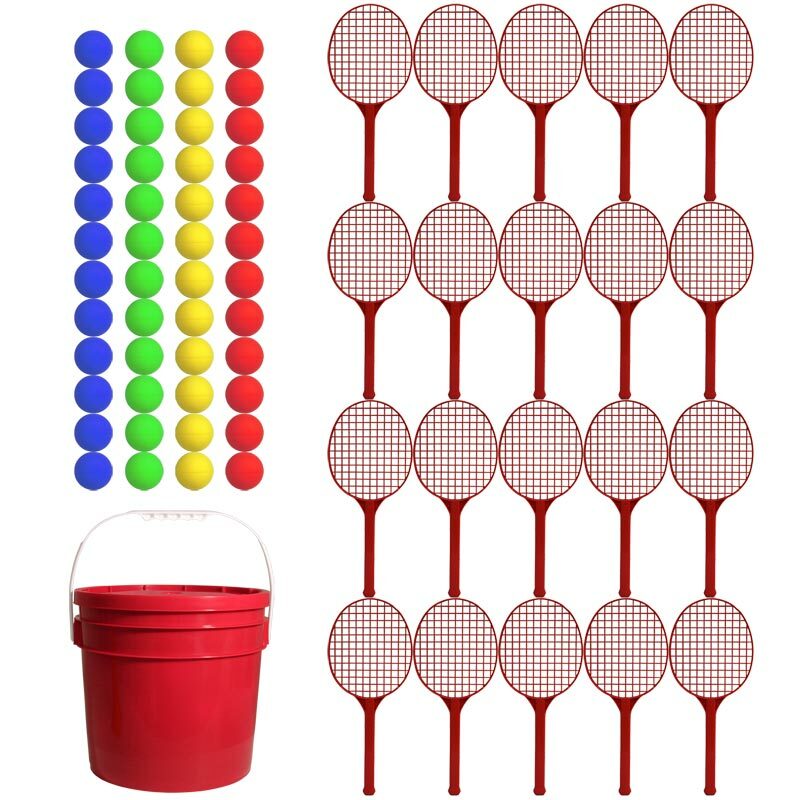 20 x First Play® Mini Tennis Racket.